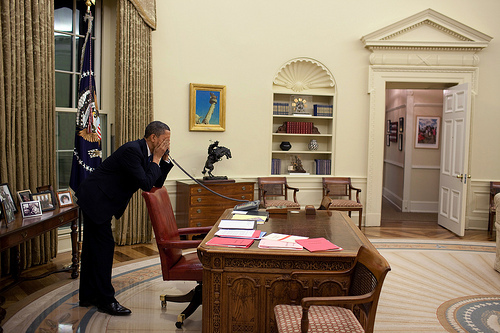 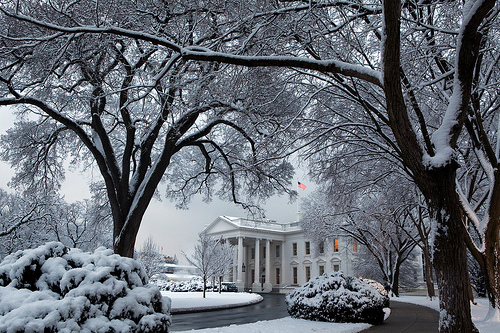 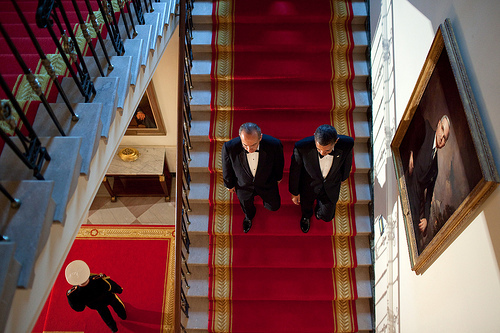 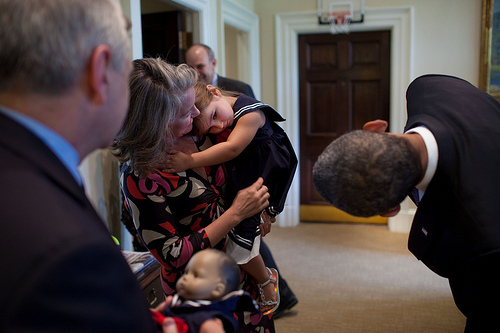 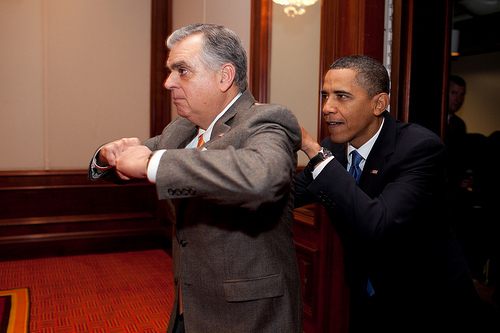 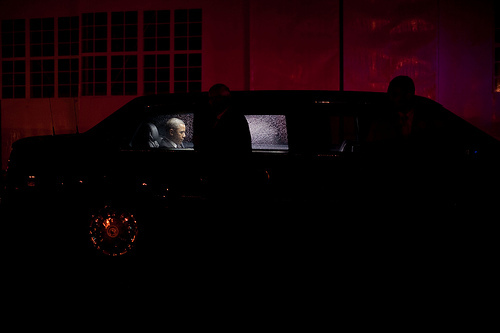 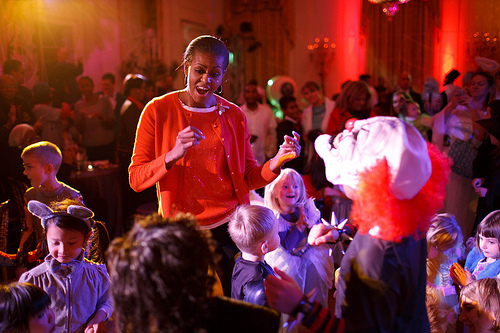 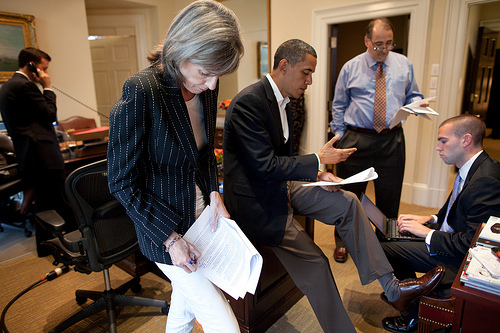 White House Photographer Pete Souza shares moments from 2010. 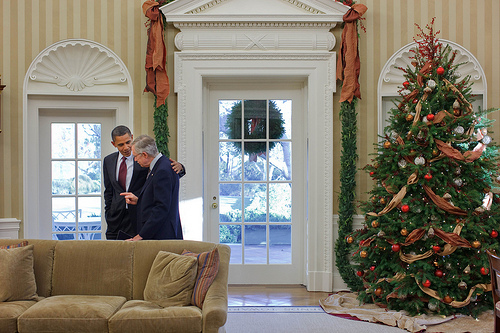 "The President talks with Senate Majority Leader Harry Reid after a meeting to discuss final matters on the lame duck session." 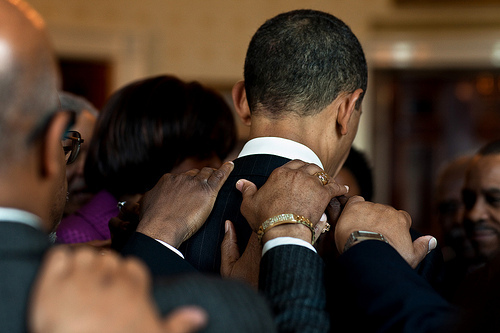 I think they chronicle a president that even throu the stress of our era in the times we live in, seems to take life like anyone who is confident and poised to lead us to a better tomorrow. 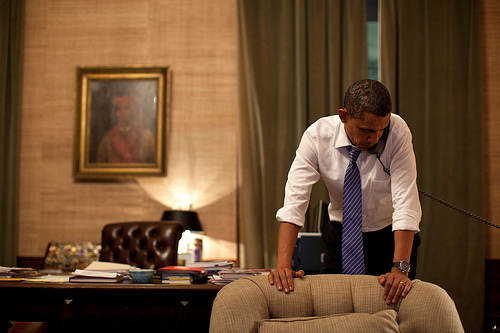 Keep up the good work Mr President!